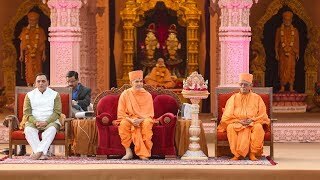 His Holiness Mahant Swami Maharaj and Chief Minister of Gujarat Shri Vijaybhai Rupani ceremonially inaugurated the 11-day celebrations to mark the 98th birth anniversary of His Holiness Pramukh Swami Maharaj. 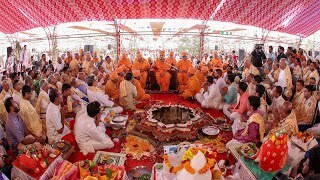 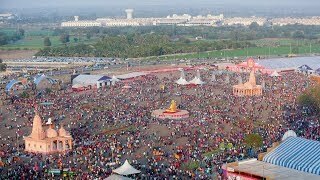 The Vedic inauguration rituals were performed in the presence of sadguru swamis, distinguished guests and thousands of devotees and well-wishers. 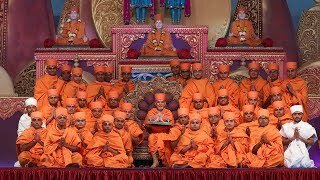 Mahant Swami Maharaj and the Chief minister untied nadachhadis to declare the 500-acre celebration site. 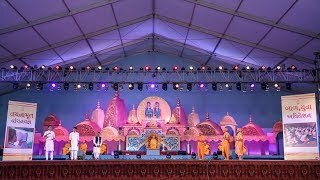 The festival ground features six inspiring exhibition domes conveying messages on family harmony, civic responsibility, de-addiction, spiritual reading, Pramukh Swami Maharaj’s spiritual life and others. 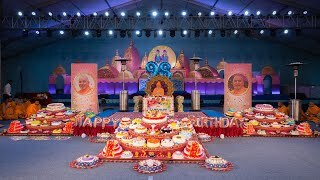 A colorful light and sound show depicts the personal, familial, social and spiritual benefits gained from mandirs. 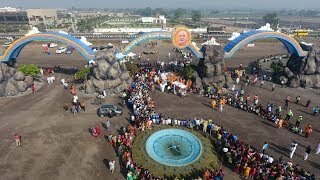 Throughout the festival grounds are five mandirs dedicated to Shri Akshar-Purushottam Maharaj, Shri Radha-Krishna Dev, Shri Sita-Ram Dev, Shri Shiv-Parvati Dev and Shri Lakshmi-Narayan Dev. 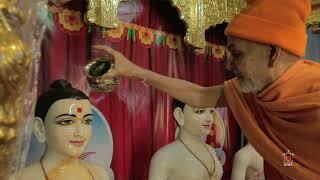 There are also statues of various saints and other inspiring personalities of India. 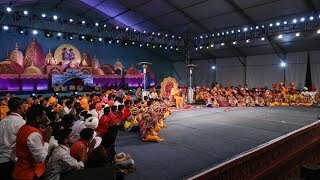 Governor of Karnataka Shri Vajubhai Vala inaugurated the mesmerizing light and sound show based on the theme ‘Importance of Mandirs’ at the 98th Birth Anniversary Celebrations of Pramukh Swami Maharaj. 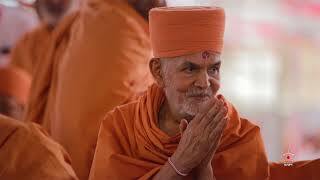 Thereafter, in the presence of His Holiness Mahant Swami Maharaj the governor addressed evening public assembly.